As a global leader in healthcare, Roche offers a broad portfolio of tools that help healthcare providers in the prevention, diagnosis and management of diseases like HPV, HIV, heart failure and diabetes, as well as other medical conditions, such as fertility and blood coagulation. EquipNet is constantly receiving used Roche equipment through our exclusive contracts with our clients. 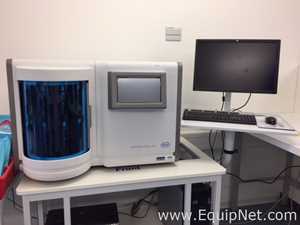 Our inventory of used Roche equipment includes multiple 'Roche Lumi Image Workstations' and an 'Roche Genome Sequencer'. If you do not see the used Roche equipment you are looking for, call one of our representatives and we will find it for you. We can also source the right tooling and change parts that you need through our huge network of corporate clients from around the globe.